In the 15th and 16th century, it was popular among scholars and (Renaissance) humanists, to latinize or grecize their name. The grecized name Macrander has its origin in the name Langemann. But what is the origin of the name Langemann (including variants Langmann and Langermann)? 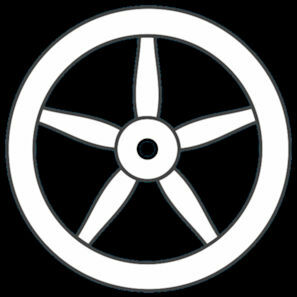 Names are classified according to characteristics, such as toponyms (address and origin names, such as Beckham, Forest, Van Buuren and Washington), patronymics (father names like Anderson and Janssen), occupational names (such as Baker, Chamberlain, Dean, Fisher, Hunt, Mueller and Smith), metaphors (nicknames or similarities, for example [as cunning as a] Fox) and adjectives (physical appearances, such as Brown, Gray, Smalls, White, Klein, Long, Young and Grant). Not unexpectedly, the name Langemann belong to the so-called 'adjectives'. Families with identical surnames, such as Washington, are not always related to each other. The ancestors of these families may indeed came from the same place (Washington) and called themselves as such, but that does not mean that they are also relatives. The same applies to names with an adjective. There are several examples of names with an adjective that can be attributed to large or tall people, for example: Grant, de Groot, Long, Lang, and so on. These families, with similar kind of names, are not related to each other in much cases. Spelling variations in surnames are often the result of clerical errors in the past. The common people could often not read or write, but also the officials did not always possess the art of good writing. In addition, some of the of different writing variants can be blamed on the dialect interpretation of the record keepers. In one region certain letters in the name were swallowed when pronouncing, while in another region the letters were correctly emphasized. And sometimes they wrote the name just in a traditional manner, according to traditions of that specific region. This is also the case with the name Langmann, Langemann and Langermann. In the publication of the aforementioned Mr. Steinbicker is mentioned that two men moved on from Münster to London. These men were Hermann Langermann (†1604 London) and Johann Langermann (†1623 London). Whether they have produced offspring, and thus ancestors of a British Langman branch, is currently unknown. It is noted that the name Langman had existed in the United Kingdom before the arrival of these two men. Here an interesting web publication about the name Langman in the UK by John Lawrence Langman from England, December 2013. 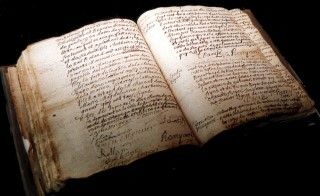 Genealogical researcher and author Clemens Steinbicker † published in 1973 a work titled "Langermann, ein hansisches Kaufmannsgeschlecht aus Münster in Westfalen". A very detailed description of the role and significance of this family of influential merchants, notables and councilors from Münster. This family played a significant role in the 16th century in Münster and in the space of the covenant of Hanseatic towns. In this publication You will also find a family tree. 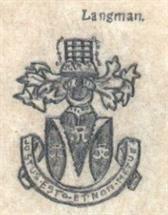 At the time of the research of Mr. Steinbicker, the origin of this Langermann family was not known to him. Steinbicker wrote that around 1450 a certain Cord Langermann appears in Münster. 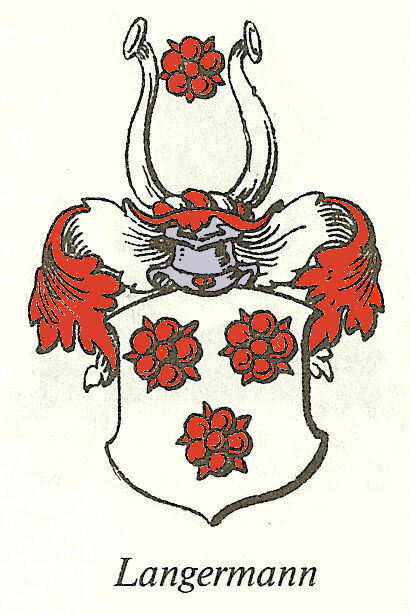 Steinbicker thought that the Langermann family came from two farmsteads near the village of Selm (Münsterland). To see if there exists a possible relationship between the Langmann family (Rostock) and Langemann (Waldeck), Rudolf Langmann and I (Frank ‘Langemann’ Macrander) disposed DNA material (cheek cells) for further genetic genealogical research in 2008. Unfortunately, the results offered few clues. All this however does not mean a connection between the Langmann and Langemann lineages is missing, because this was not a scientifically sound research. A much larger group of people has to be tested for any assurance. In the absence of this, it seems therefore that we still have to continue to rely on the old-fashioned paper way. 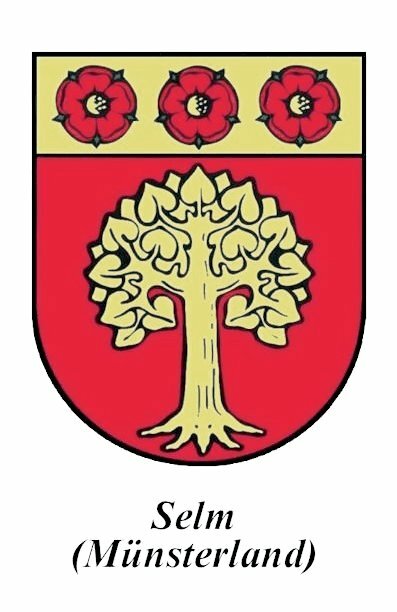 The Langemann lineage from Waldeck (to which the Macrander family belongs) begins in Helsen and/or Mengeringhausen, near Bad Arolsen in Waldeck (Hessen). 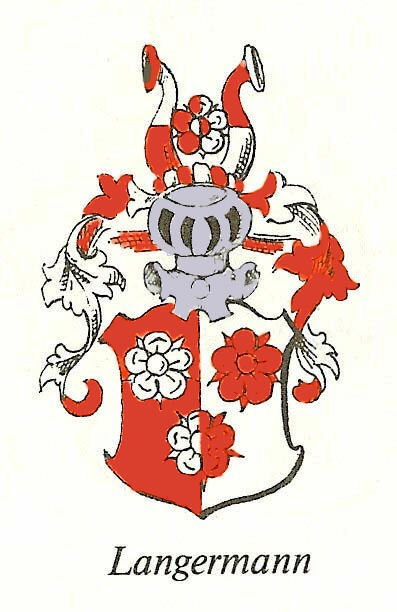 Under the name of Macrander, this family settled later in the city of Wetzlar. Where this Langemann family originated originally is not known. In the archives of the Waldeck region, so far not much information has been found on this. Mengeringhausen, the birthplace of ancestor Arnold Langemann, seems a dead end. His father is probably Gerick Langemann. He is mentioned in 1553 in Helsen (Bad Arolsen). 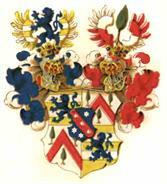 And his father is probably Johann (Hans) Langemann who is mentioned in 1529, also in Helsen. Perhaps the roots of this family is to be found beyond the boundaries of the Waldeck region. One theory could be that some members of the Langermann family from Münster traveled towards the nearby Waldeck region because of trading reasons. 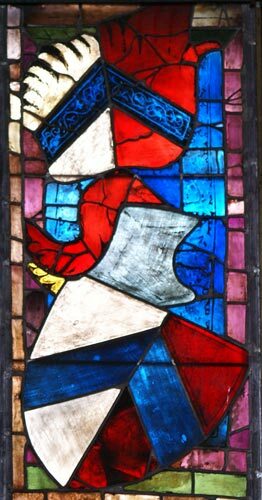 After all, Korbach in Waldeck and Peckelsheim (near Waldeck) also belonged to the so-called Hanseatic cities (the Hanseatic League), just like Münster, Hamburg and Rostock. 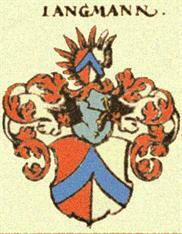 Could it be that a Langermann from Münster stayed in Waldeck and thus began the Waldeck-lineage? However, these are only speculations. Because Arnold Langemann was born in Mengeringhausen (Hessen) in 1566, a (direct) relationship with the Langermann family of Hanau and Ortenberg seems to be excluded in any case. The assumption of a mutual connection between Langmann, Langemann, Langermann, Von Langermann and Von Langermann und Erlencamp is an interesting thought, but as long as no hard evidence is provided, we should be careful when drawing such conclusions. Further research will be necessary. Johann Langermann (*1572/1580 Hamburg - †1638 Stadthagen) and Lorenz Leopold Langermann (*1630). 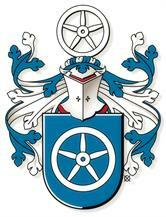 The ancestral lineage of the Hamburg born Johann Langermann is originally from Münster. A possible ancestral lineage of Lorenz Leopold Langermann was not known to Mr. Von Langermann und Erlencamp. The website of the Von Langermann and Erlencamp family can be found here. 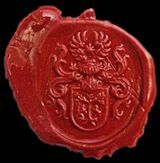 The Langmann family from Nuremberg was a family of city officials and was part of the so-called 'Patriziat' (patriciate). The family belonged to the so-called 'Inneren Rat'. That was the supreme institute of the city council and thus they were in the city's power center. Some members of the Langmann family were mayor of this important town. So, at that time a very influential family. 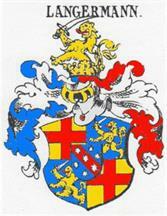 More about this family can be found on the Internet, see 'Patriziat (Nürnberg)' and 'Langmann (Patrizier)'. At the end of the 14th century the Langmann family disappears from the Nuremberg scene. The various members of the family moved (possible for economic reasons) towards the Hanseatic cities in the west and north of Germany, where trade flourished, such as Münster, Hamburg, Lübeck, Rostock and Riga. More information can be found on the website of Mr. Rudolf Langmann, himself a descendant of the Langmann-lineage from Rostock (Mecklenburg-Western Pomerania). Nowadays, Germany has about 80 million inhabitants. In earlier times there were significantly fewer people than today. For instance, in the eleventh century in the German countries, there were approximately some 5 to 6 million inhabitants. By 1600 that number was still not particularly high, about 15 million inhabitants. The question is how many families, whose ancestor was tall of stature, chose a family name with the combination 'lang' + 'man'. And could it be possible, that namesakes with the name Langemann, Langermann and Langmann may have a certain coherence, a possible common ancestral lineage, so to speak? - Hamburg and Rostock (Mecklenburg-Western Pomerania, northern Germany). In 2010 I had contact with Roelof Langman, son of former Minister LL.M. Drs. Hartgert (Harry) Langman (*1931-†2016). Based on information from Roelof Langman, Rudolf Langmann and other information (including Genlias and International Genealogical Index of the LDS), I constructed a family tree of the Dutch Langman branch. This pedigree goes back to around 1700. According to the grandfather † of Roelof Langman, the Dutch branch comes originally from Germany. Coherence between the different lineages? 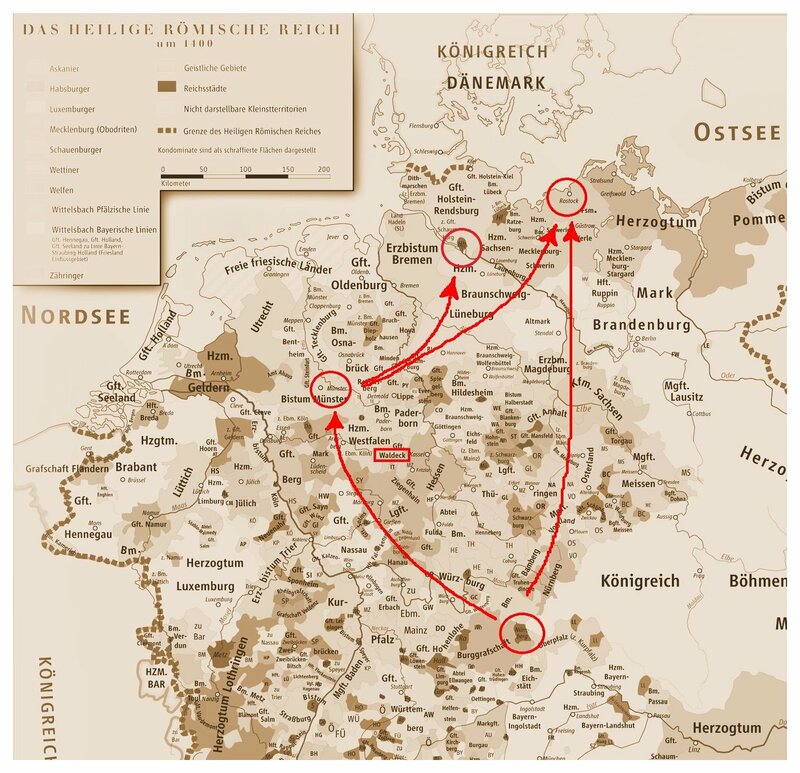 Mr. Rudolf Langmann, himself a descendant of the Langmann-lineage from Rostock (Mecklenburg-Western Pomerania), is convinced that there is a connection between the various Lang(e/r)man(n) lineages. He believes that they can all be traced back tot he old patrican Langmann family from Nuremberg. The Münsterse book printer Cord Langermann would come from Nuremberg. 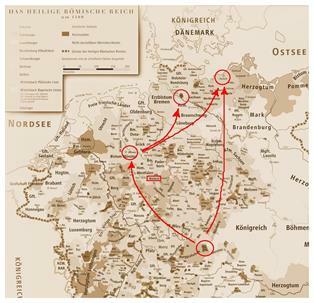 He also states that several members of the Langermann family left Münster and went to Hamburg and vice versa, which means that a connection between the Münster lineage, the Hamburg lineage and the Nuremberg lineage would exist. Further more Mr. Rudolf Langmann believes that the Münster merchant Berndt 'der Alte' Langermann (born between 1491 and 1513 in Münster) is likely the common ancestor of the families (Von) Langermann and Von Langermann-und-Erlencamp in Rhineland-Westphalia, Hamburg and later in Mecklenburg. However, the sources on which Mr Rudolf Langmann has based his views, are not known to me. In addition, Rudolf Langmann has no information about the Langemann family from Waldeck. It is remarkable that all Lang(e/r)man(n)-lineages have a tradition of notables, including councilors, aldermen (or lay judges) and city officials. 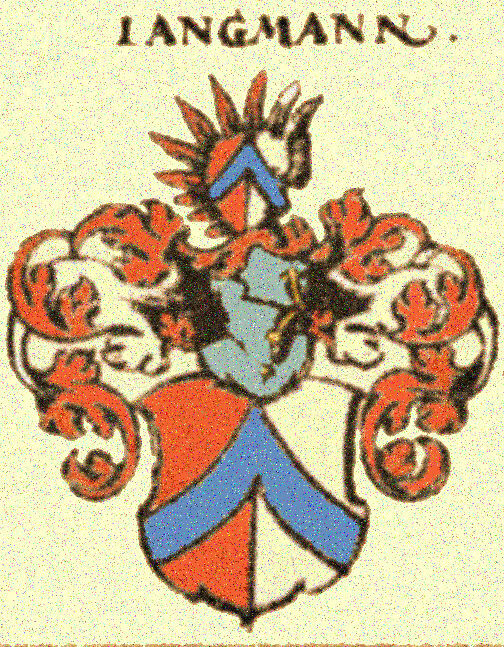 Some descendants of Johann Langermann (*1572/1580 Hamburg) settled in Hessen, in the city of Ortenberg (2nd half of the 17th century) and the city of Hanau (1st half of the 18th century).